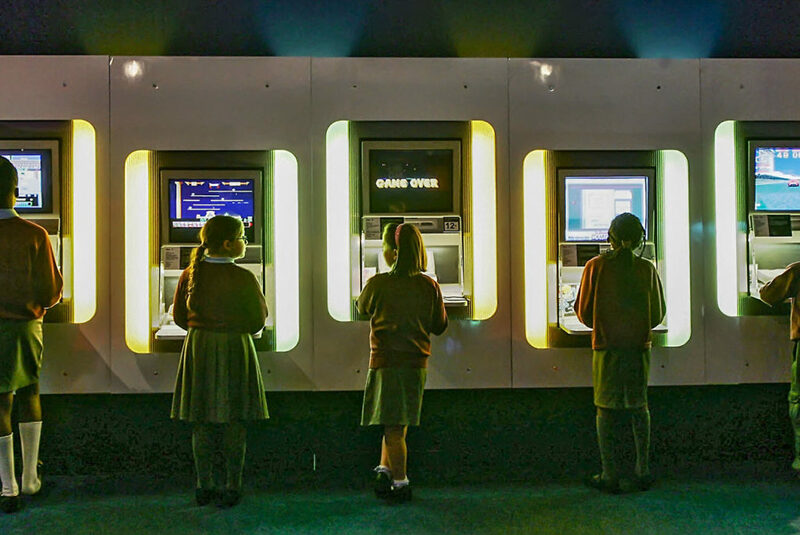 School children play arcade games at The Science Museum in London. The exhibit includes more than 120 classic and modern games. There is a technology arms race underway among consumer-facing businesses as they continually try to improve their services and offerings to customers. It’s easy to understand why pushing artificial intelligence (AI) chatbots and high-quality recommendation algorithms is a priority. After all, when Oliver Wyman surveyed 1,500 people in the United Kingdom, 84 percent said they like or love the internet. When the same cohort was asked to share opinions of technology, the internet and all things digital, nearly a third (31 percent) admitted that they can’t keep up with new technology. 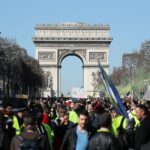 This varied surprisingly little by age: Those aged 18–24 were as likely to agree as those aged 35–64 (28 percent and 27 percent, respectively). What this means for CIOs and digital teams is there is a risk of regarding all online or digitally enabled customers as largely the same. 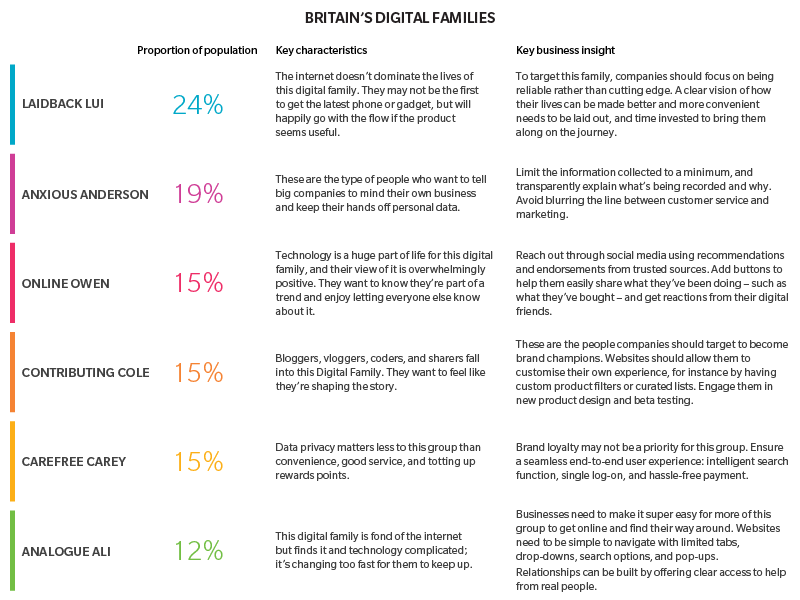 New research shows there are six different “Digital Families,” each with their own preferences when it comes to sharing data, adopting new gadgets and interacting with people and companies. A CIO must be able to understand which type their customers are and tweak their online experiences in order to win and retain their loyalty. CEOs and CIOs at banks have long recognized that moving customers online will enable them to reduce their cost bases; fewer branches will be needed because customers will self-serve via their website or app. The CIOs and their teams have arguably done a decent job at moving their customers online: Internet banking is so well regarded in the UK that nearly one in 10 people surveyed said it was the digital service that has had the biggest impact on their life in the past three years. Barclays’ consumer banking division understood that many of its customers were in the Analogue Ali family. To help get them online, they set up a program in the UK called Digital Eagles. They give tips about how to set up email, shop online, bank online and be digitally safe while doing so. Other banks and consumer services may also need to think about investing in these types of programs to move customers online and build their brand as consumer champions. The Digital Families model can identify risks for banks as well as opportunities, such as those mentioned above. For example, if a major bank were to introduce the same geolocation app to all its online customers, the Digital Families model implies they would face a backlash: 19 percent of the population are Anxious Andersons and would find an app that constantly tracks them a creepy invasion of privacy. It may be enough for them to stop using online services or switch banks. In the startup space, many new fintech companies are launching as small online ventures solving one particular issue via an app—such as saving pennies on each debit card transaction or offering cheap foreign exchange rates—with a view to expanding into a full banking service. 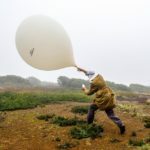 The risk is that every such startup is serving the same two Digital Families—the Contributing Coles and Online Owens—so when they look to launch a broader range of services, they find their customers already being served by other fintechs. Such examples make it clear that there are multitudes of ways banks can adapt to better serve their customers via a range of innovative solutions. Supermarkets provide an interesting juxtaposition to the banking case study, because while banks have a cost-saving incentive to move customers online, the most cheap and efficient way for supermarkets to serve their customers is for the customer to come into the store, pick their own products and take them home themselves. Serving a customer online is more expensive for a traditional supermarket due to picking and delivery, and the process often eats into supermarkets’ already wafer-thin profit margins. Even with about 85 percent of sales being made in-store, supermarkets do still need to compete online. Not doing so means the Online Owens and Contributing Coles will use competitors’ digital shops. It’s important to remember that while customers moving from in-store to online makes them less profitable and should be avoided where possible, what would be worse is losing in-store customers to a competitor’s online shop and missing out on their spending entirely. To ensure they retain customers, supermarkets must offer a simple and hassle-free experience for all customers, both online and in-store. Technology will assist with this, for example, by having a checkout-free payment option in stores, or better substitutions for online customers. The temptation for many CIOs and their teams will be to produce digital services and solutions for customers like themselves. A one-size-fits-all digital strategy will never be as successful as one that appreciates and adapts to internet users and technology fans’ differences and nuances. What’s not needed are six different versions of a website tailored to each of the six Digital Families. What is needed is a new way of thinking about digital customers, an understanding how they make up a business’ target customer base and small innovations that show consideration to their preferences. 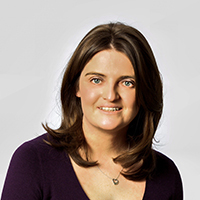 Deborah O’Neill is a partner at Oliver Wyman Labs and Financial Services. Deborah has supported some of the world’s biggest financial institutions and helps them improve decision-making and customer engagement via better use of big data, analytics and technology. 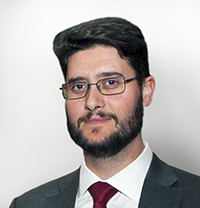 Duncan Brewer is a partner in the Retail Practice of Oliver Wyman and is based in London, UK. With experience supporting some of the world’s largest and most innovative retailers, Duncan works at the intersection between retail and technology. 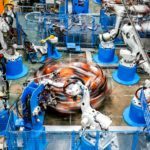 He helps consumer businesses design and deploy process automation, supported by cutting-edge machine learning so they can make better and quicker decisions, while keeping their customers at the heart of everything they do.